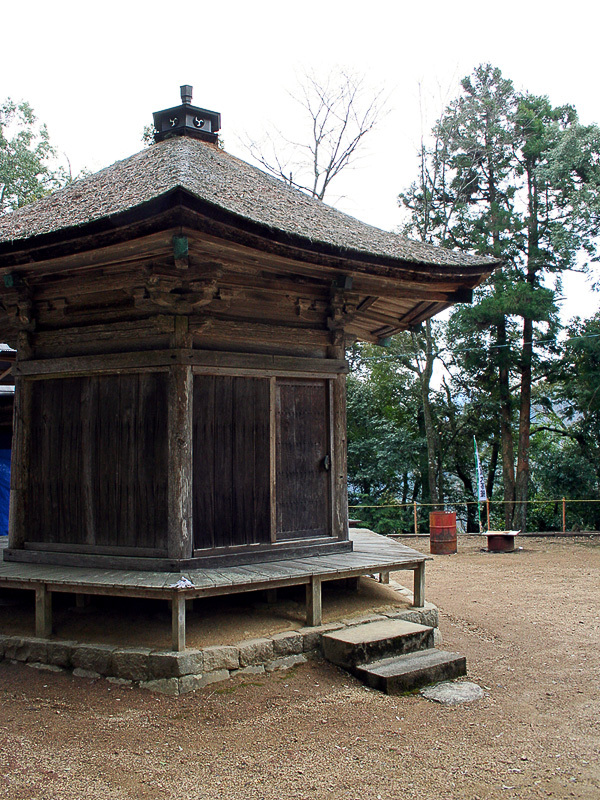 A Six-Sided Pagoda That Inspires a Sense of Austere Beauty. 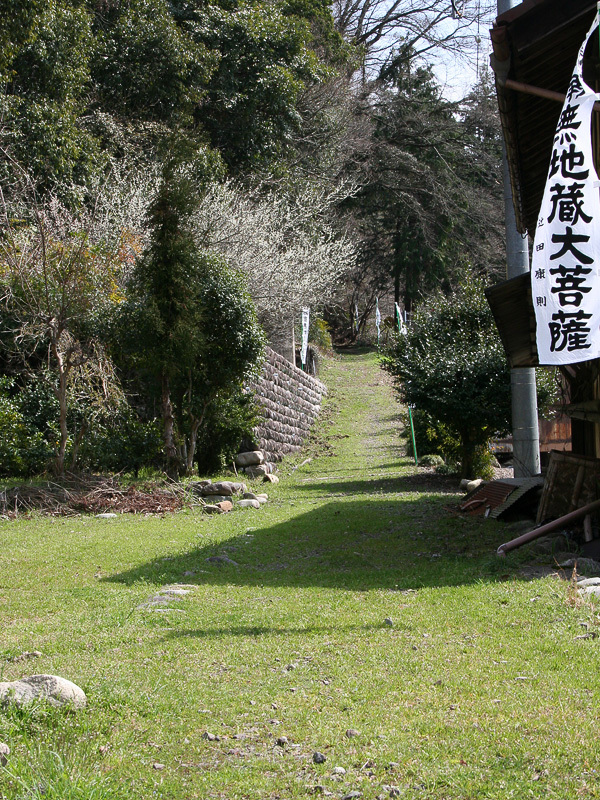 This pagoda was located in the Jizozaka Pass on the old Gujokaido Road to ensure the safety of passing travelers. 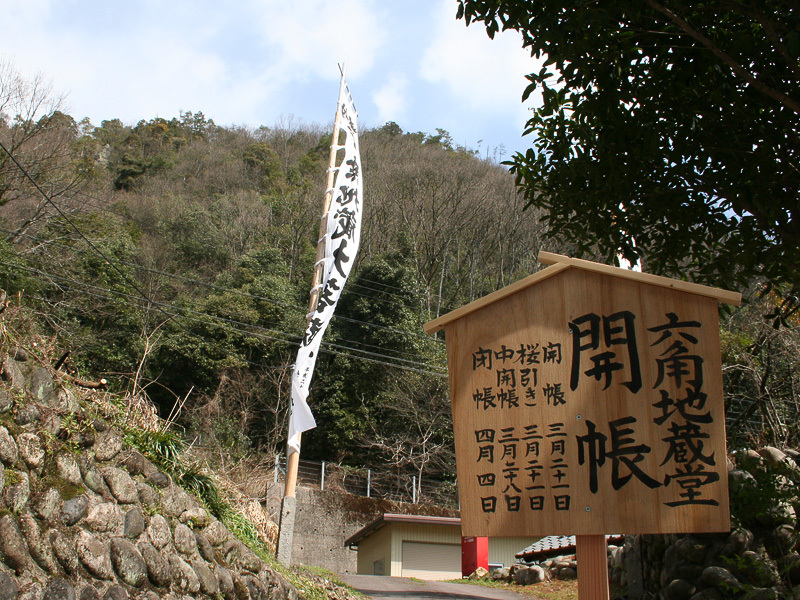 According to the pagoda's plaque (dated the third year of the Genbun Era, 1738), a carpenter, Fujiwara Asomi Soan, from Hishu (Hida no Kuni) rebuilt the structure in the first year of the Ocho Era (1311). 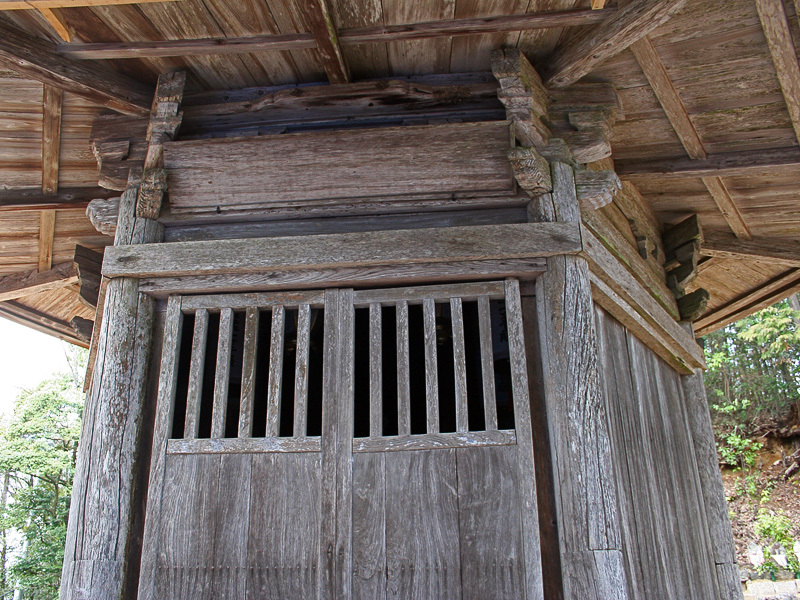 The style of the construction also leads to an assumption that the structure was built some time between the end of the Kamakura Period and the beginning of the Muromachi Period. The pagoda is a six-sided structure situated in lush green surroundings. Its pillars are round, tripled framed with a cypress bark roof. The dew basin (roban) at the bottom of the finial and the wishing stone at the upper part of the finial are supported from the rear. 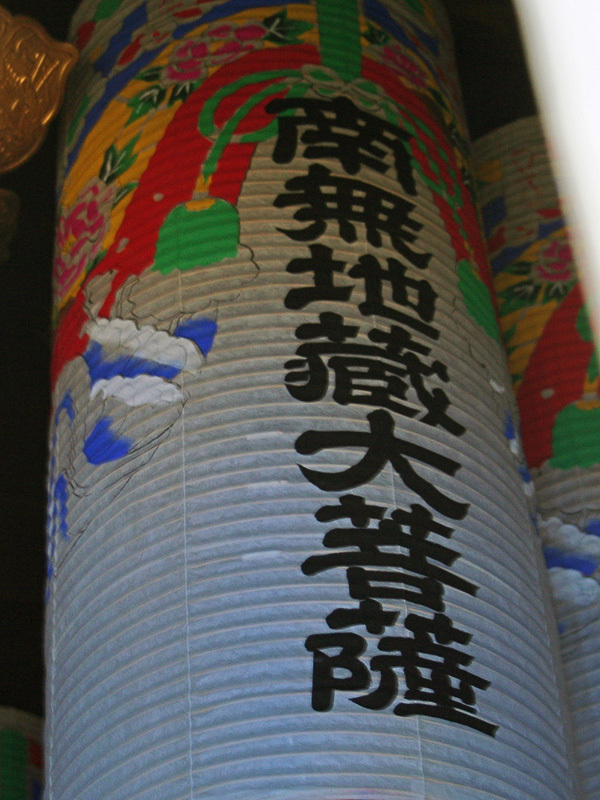 Several examples of graffiti in Indian ink from the Tenbun Era are evident on the internal pillars and have been used to date the pagoda. 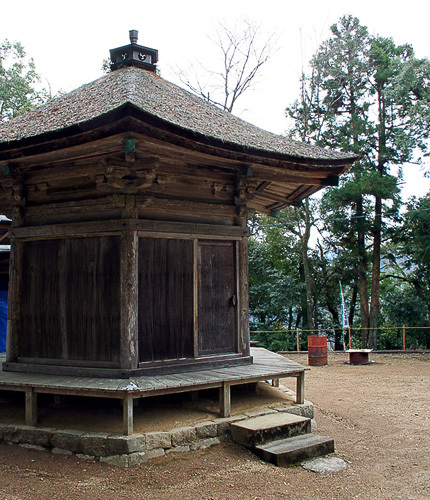 The pagoda is a precious building of which nothing similar can be found in Gifu Prefecture.